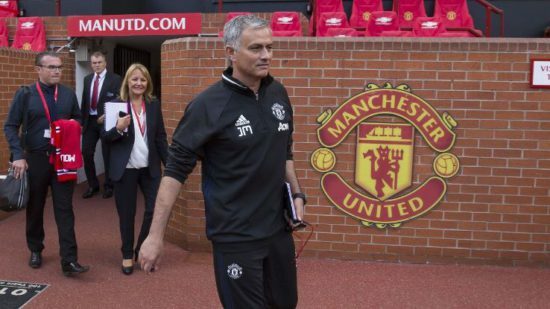 With the January transfer window just a couple of months to go, there are reports suggesting that José Mourinho has to sell some players before landing new arrivals. Some players are looking over their shoulders as some are expected to leave Old Trafford. Mourinho has seen his side lose some of our early season steam we began the season with in recent weeks. The imminent return to fitness of the likes of Paul Pogba, Marcos Rojo and Zlatan Ibrahimovic means we can ease a sigh of relief going into the hectic Christmas schedule. We take a look at three players that can be casualties of the January transfer window. The English international has failed to become first choice at the club ever since arriving for close to £30m in the summer of 2014 and it seems that this is his last season with the 20-time English champions. The player suffered a nasty leg break in the 2015/16 and has not looked the same player ever since. He has been routinely criticised by José for lacking the mental strength of playing for a club of our magnitude and he could be the first out of the club in January. United are ready to count our losses and with the likes of title rivals, Tottenham reportedly interested in his services, he is close to the exit door. The case of the Spanish international is a curious one as he is one for the most gifted players in our squad but the sad story is that he is not that rated by the manager. Both men had their issues while at Chelsea and it seems he has gone back to being labelled the scapegoat despite starting majority of the matches this season. A bad mistake in the 2-1 away loss at Huddersfield could not have helped his cause. Reports in the papers suggest that former club, Real Madrid are looking at signing him as his current deal at the Theatre of Dreams expires next summer, and there have been no talks about an extension. A personal favourite of the manager, Fellaini could find out that a decision he made in the summer could come back to ruin his United future. The player has stalled signing a contract extension as he looks to be at par with a number of the club’s highest earners. That move may see him closer to the exit door as United will not want to lose him on a free transfer next summer. Fellaini is trusted by Jose to do whatever he commands on the pitch, and is now loved by the fans, who disliked him at first being that he had mediocre performances and chiefly because he was the headline signing of the ill-fated David Moyes reign. We have lost our way in recent matches but the international break gives José the chance to recharge his batteries and get the team to come out stronger when next we play in the Premier League at home to Newcastle and his old rival, Rafael Benitez.